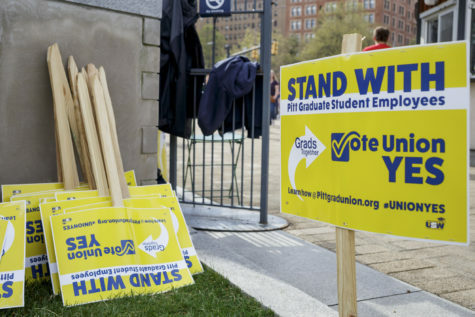 Though it’s been nearly a year since Pitt faculty and graduate students first whispered plans to form labor unions, both groups have yet to take the first formal step of sending out voting cards to see if forming a union is feasible. But that’s because both campaigns are still continuing to spread the word about their efforts and garner faculty interest in the unions, a crucial step before sending the cards. Even though the delay seems lengthy, organizers say they have high hopes for this school year. “We are hoping for and expecting it to be a big year,” Benjamin Case, a fourth-year graduate student in the sociology department, said. 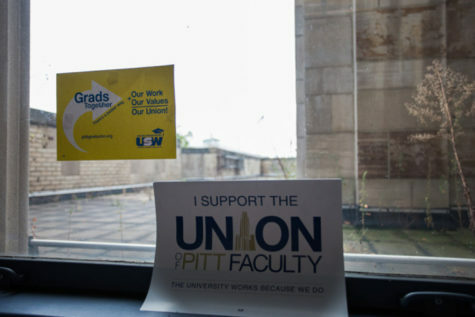 Last October, Pitt faculty and graduate student employees informally announced their plans to form two separate unions to address concerns of job security and low wages. 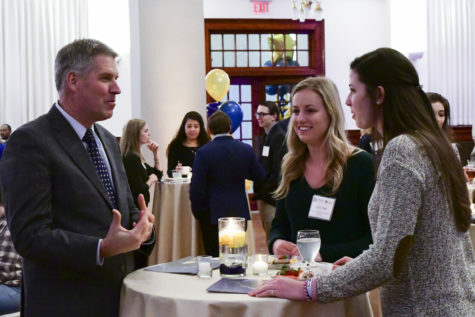 After formally announcing their efforts in January this year, the campaigns began spreading awareness and garnering support among faculty and staff. Since the formal announcement nearly 10 months ago, both the faculty and graduate student unions partnered with the Academic Workers Association of the United Steelworkers union, which provides the campaigns with legal support, guidance and basic supplies such as fliers and buttons. 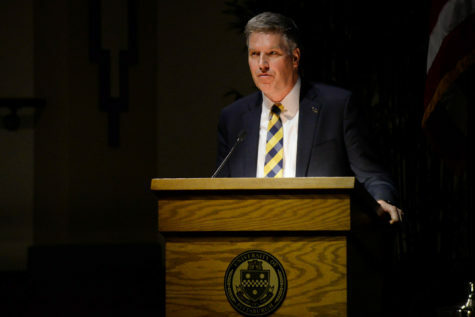 In recent years, USW has also aided Point Park University, Robert Morris University, Duquesne University and Chatham University employees in their unionization efforts. Point Park University’s adjunct faculty employees also voted to unionize in June 2014 and negotiated a contract with the university in November 2015. 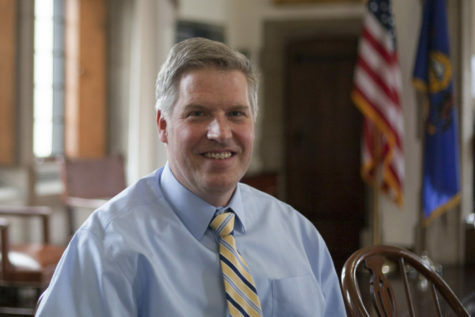 At Robert Morris University, the adjunct faculty passed a vote to unionize in March 2015. Because Pitt is much larger than the other universities in the city, its unionization campaigns require more time, organizers say. The time it takes for university employees to unionize depends on how many employees a university has and how the university responds. In the fall 2015 semester, there were 7,539 graduate students enrolled at all Pitt campuses, according to the 2016 Fact Book. In the same term, there were 5,281 full-time and part-time faculty at all campuses. So far, the University’s administrators have not been hostile to the unionization effort, Tyler Bickford, an English professor, and Case said separately, but administrators also have not taken a stance on either campaign. For its part, Pitt declined to comment on the specifics of either union campaign. “We really don’t have anything to say on the matter,” said University spokesperson Joe Miksch. Now, the next step toward unionization is sending out voting cards — also called authorization cards — to all eligible faculty and staff in order to gauge whether or not a union vote would succeed. 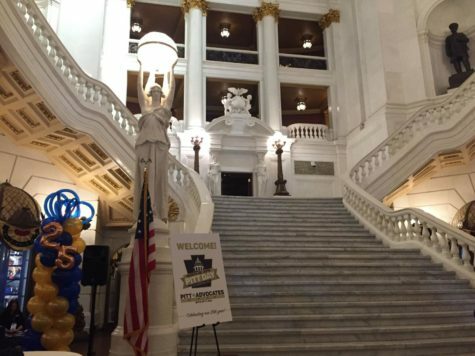 If the cards indicate 30 percent of faculty or more approve of the union, the campaign organizers would present the cards to the Pennsylvania Labor Relations Board. They would then hold an official vote to allow all faculty and staff to vote either for or against a union. Unions at other universities in the area have been quicker to form, but are significantly smaller than Pitt. The campaigns at Pitt slowed down over the summer months, since there were fewer faculty and staff on campus. Case said he expects efforts to pick up again because the fall semester has begun. But both Case and Bickford say that neither campaign has an immediate plan to send out voting cards. Instead, Bickford said, campaigners have been and will continue to table on campus, pass out literature and hold panel discussions to create more visibility for their campaigns. At the time of publication, campaign organizers were unable to disclose the specific number of employees involved in either campaign. They were also reluctant to disclose any numerical information they did have, based upon employees’ varying levels of participation in the campaigns. “The idea behind organizing is to unite communities so that they can define which issues are important to them, and address them collectively,” Jeff Cech, a USW organizer working with Pitt employees, said. As Case puts it, graduate students work in a form of apprenticeship, dreaming of graduating and finding a secure, tenure-track position. At Pitt, 67 percent of the University’s 5,500 faculty are not on a tenure track and a little over one-third are adjunct faculty, Damon Di Cicco –– a staff organizer at USW –– said. Adjunct faculty receive approximately 30 percent of what full-time faculty employees are paid. 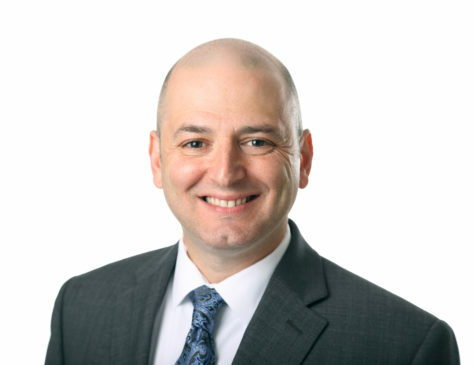 Some part-time faculty make $2,500 per course, which translates to $13.08 per hour, on average, as compared to $42.60 per hour for full-time faculty employees, according to Di Cicco. According to Pitt’s Faculty Handbook, tenured professors have additional duties not imposed on non-tenured professors, such as selecting new faculty members for their department as well as creating and protecting an atmosphere of academic freedom within the University. According to Di Cicco, the two separate faculty and graduate student employee campaigns allow the groups to address differential concerns. 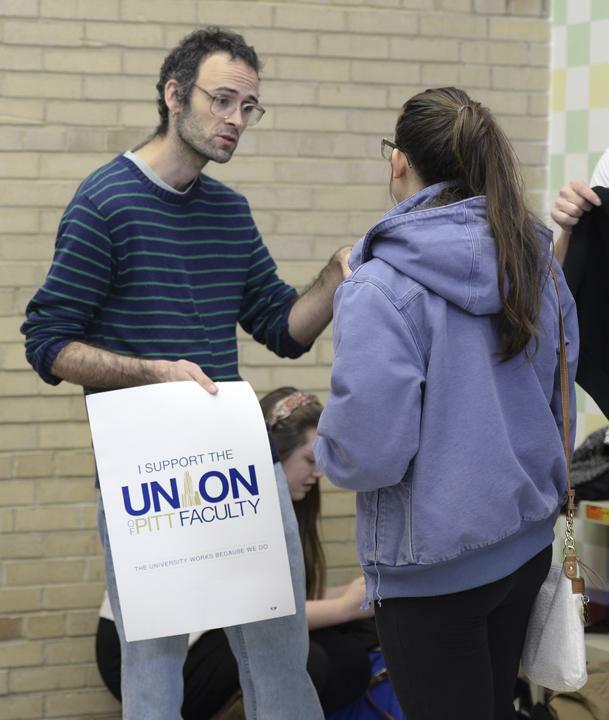 While the faculty unionization campaign is focused on wages and job security, Case said Pitt’s graduate student employees, who work as teaching or research assistants as part of fellowship programs, are focused gaining a voice in their working conditions. For graduate student employees, fellowship positions are granted by individual schools or programs within Pitt. For instance, the Dietrich School of Arts & Sciences grants graduate fellowships that include a tuition waiver, a TA appointment and monthly stipends, among other benefits. 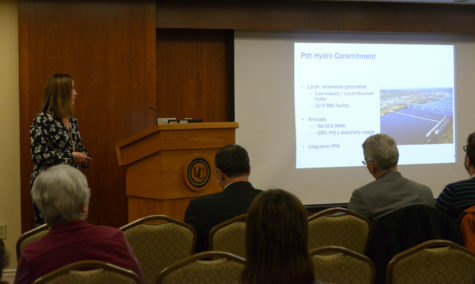 Governmental or private agency grants may also be used to employ graduate students at Pitt and other universities. According to Bickford, campaigners are working toward a union that would include faculty in all of Pitt’s schools and branch campuses. 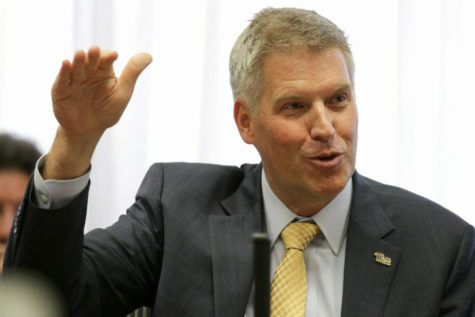 Going forward, Case said if the unionization efforts fail, he would worry about Pitt’s rankings dropping. Case said unionization will give graduate student employees greater confidence in their future, allowing them to do their jobs more effectively and to better the University as a whole.